A Showing of Creativity in Bread! 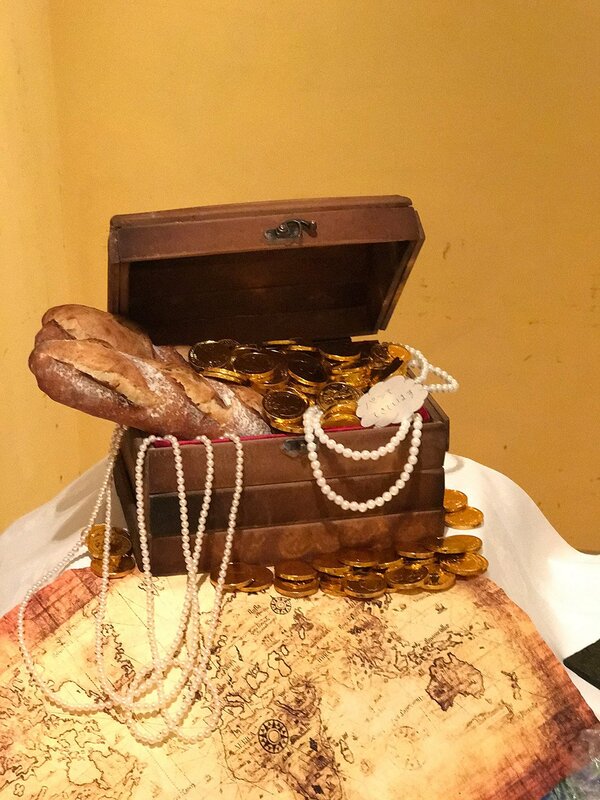 Last March, our Advanced Bakery students organized yet another successful Bread Buffet (Pain Buffet). 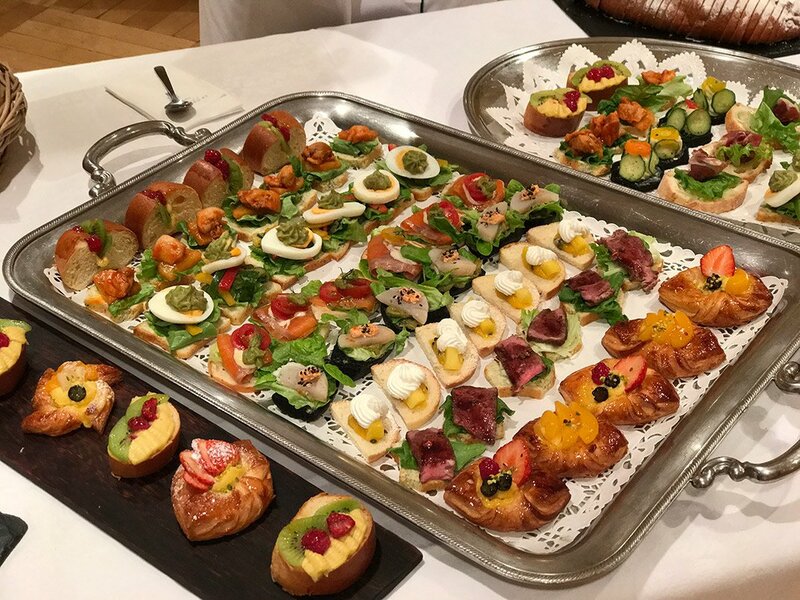 Bread Buffets are special events where Bakery students put on a scrumptious display of creative bite-sized bread hors d’oeuvres and elaborate bread decorations. Guests are invited to taste, drink, and mingle with chefs and students. 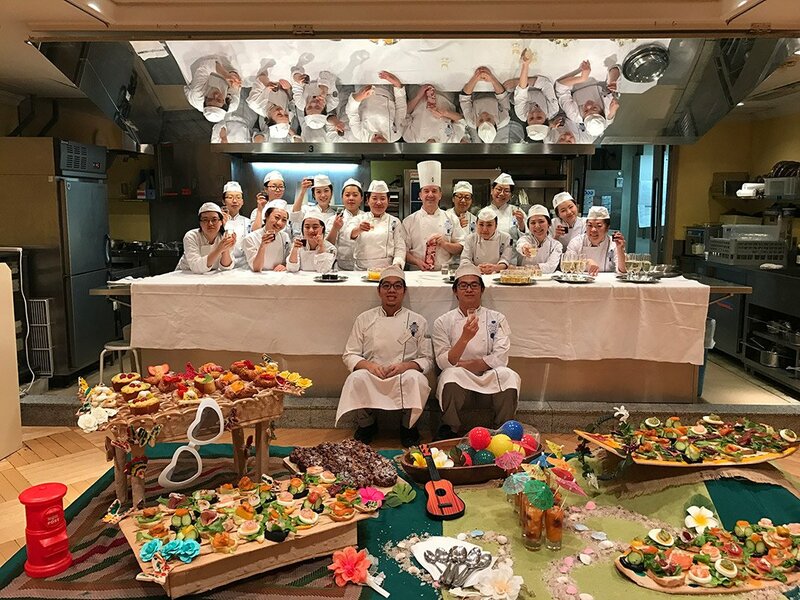 March 17th, 2017 – The Chinese Bakery class produced their Bread Buffet around the theme of Hawaii. The spread of tasting breads was a spectrum of colourfully appetizing ingredients: crisp lettuce, avocadoes, salmon, tender slices of beef, and egg. 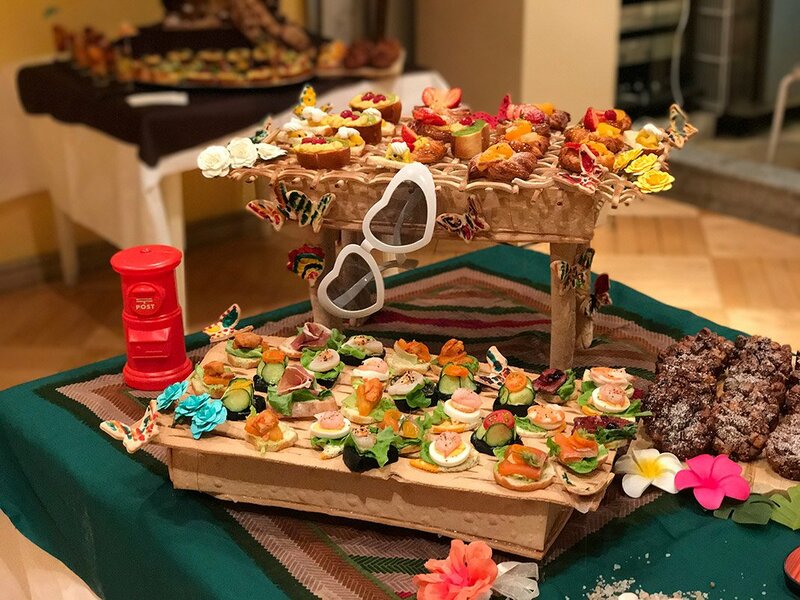 Bread was also artfully transformed into sunglasses, ukuleles, white sand and shells, transporting guests to the summerly realm of the island state. 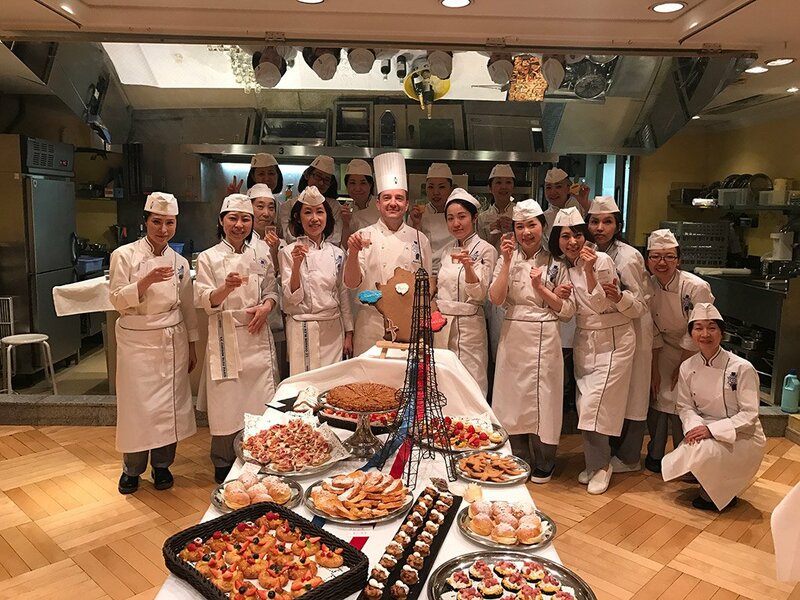 March 18th, 2017 – The Japanese class chose Saint Malo and Marseille, two French coastal towns, as the theme for their Bread Buffet. 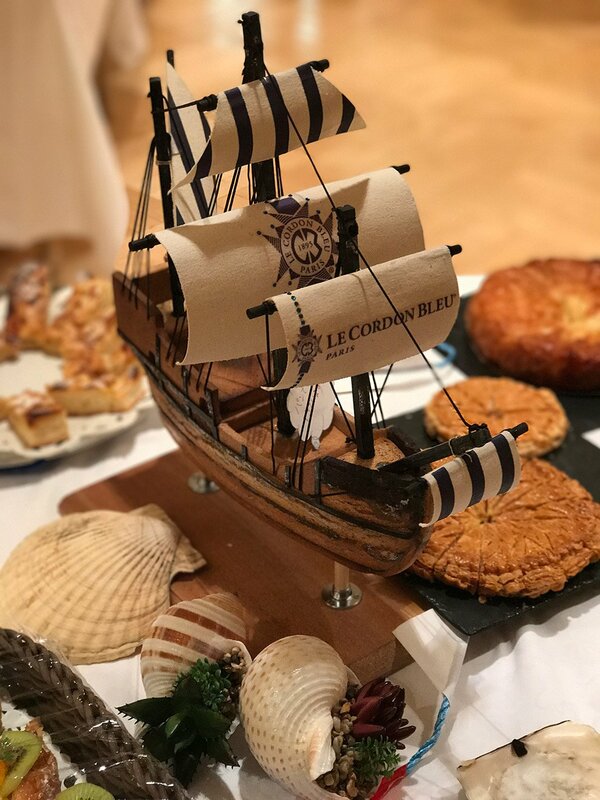 The iconic imagery of coastal France was embodied by an impressive ship-shaped centre piece, completely made of bread. 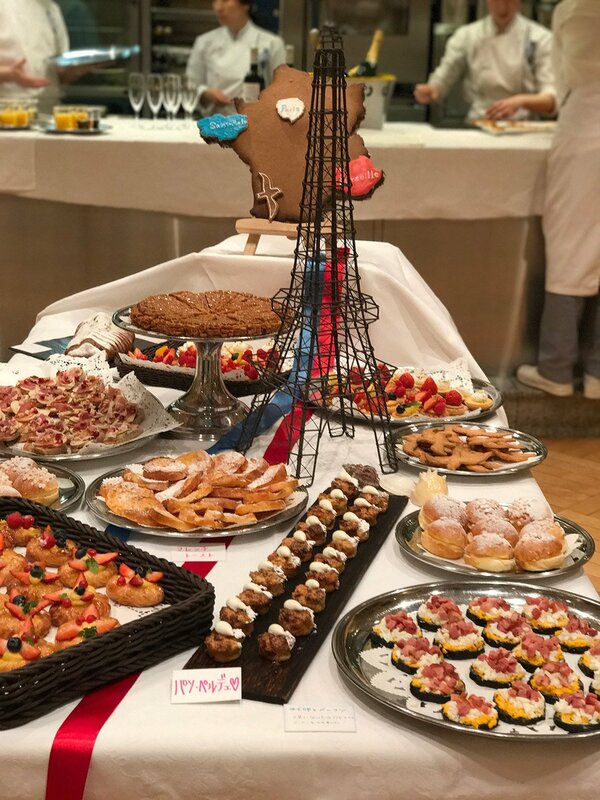 Various decorative breads accompanied the navel sculpture, including hand-sculpted Le Cordon Bleu flags of bread lining the room. March 20th, 2017 – The English class decided on seasons for their theme. 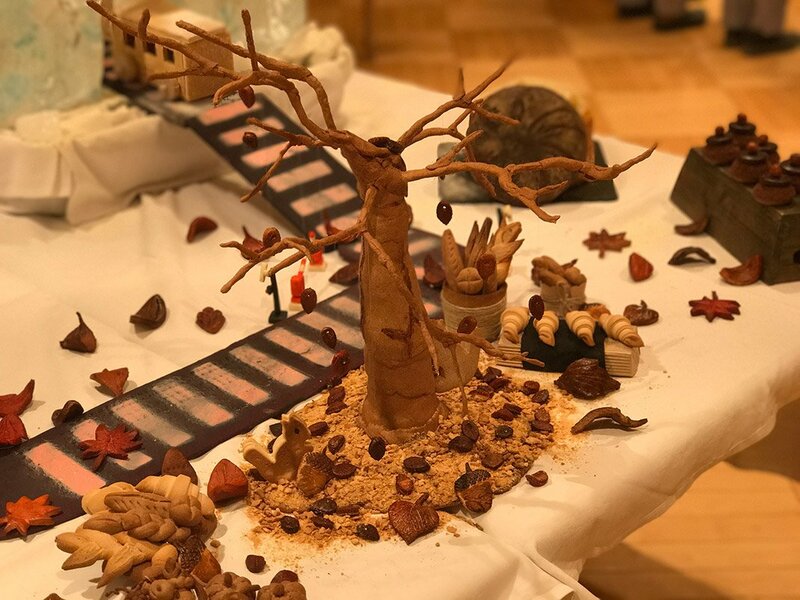 A train of bread chugged along the buffet space, split between four distinctly seasonal areas, each symbolized by evocative bread decoration and centre pieces. 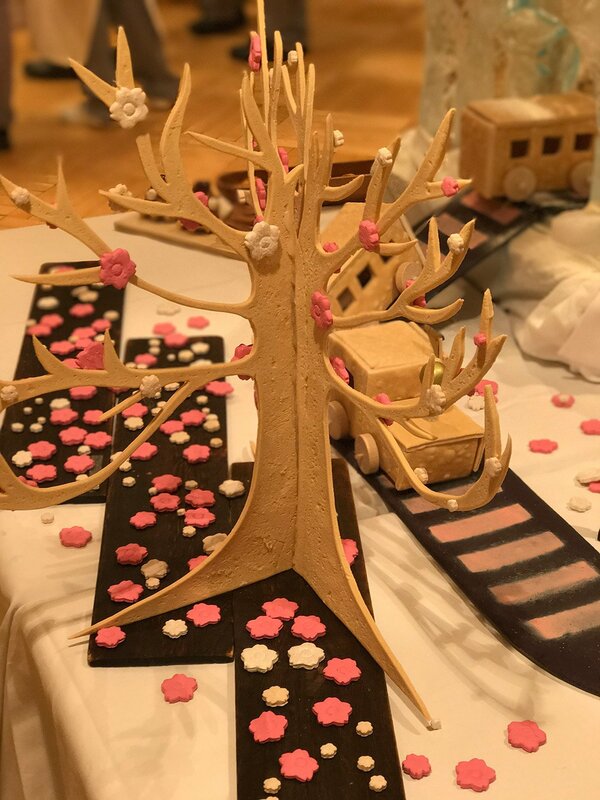 The tasting breads all featured seasonal ingredients that the students explained to the guests, making for a deliciously interactive experience! 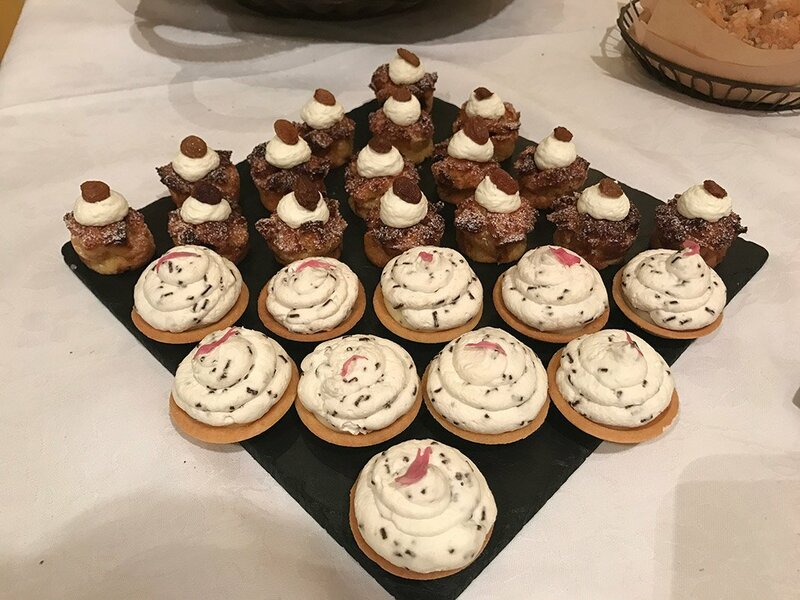 Bread buffets are great opportunities for guests to learn more about the school and our Bakery curriculum through chatting with our students, chefs, and staff. Come join us for another series of delicious Bread Buffets next term; perhaps you’ll be one of those students one day!